Beginner Spring term: Apr-June, anyone can join any time! Thinking of joining the club? 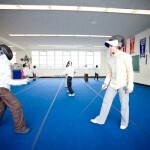 We are a Toronto-based fencing club that is focused on youth development. We boast over 100 club members at four locations: Wychwood, High Park, Greek Town and the Beaches. The club offers beginner, intermediate and competitive group lessons as well as private lessons that challenge your body and mind in ways that no other sport can. Our services include fencing camps, corporate events, fencing gear and space rental, stage combat training for actors, demos and birthday parties. Find out more about our club’s profile, coaching philosophy, program structure and parent code of conduct. My Fencing Club (MYF) is a Toronto-based fencing club where people of all ages and experience levels enjoy the ancient art of dueling. We boast over 100 club members from all over the world (Russia, France, Turkey, Austria, Ukraine) at four locations: Wychwood (St. Clair Ave. W. & Christie), High Park (Bloor St. W. & Runnymede St.), Greek Town (Danforth Ave. & Broadview Ave.) and the Beaches (Queen St. E. & Glen Manor Dr.) The club offers beginner, intermediate and competitive group lessons as well as private fencing lessons that challenge your body and mind in ways that no other sport can. Our other services include fencing summer camps, corporate events, fencing gear rental, demos, birthday and bachelor parties. 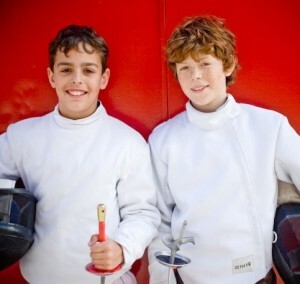 Club’s mission is to introduce children to the sport of fencing and bring out the best in them by emphasizing passion, challenge, teamwork and the will to achieve. 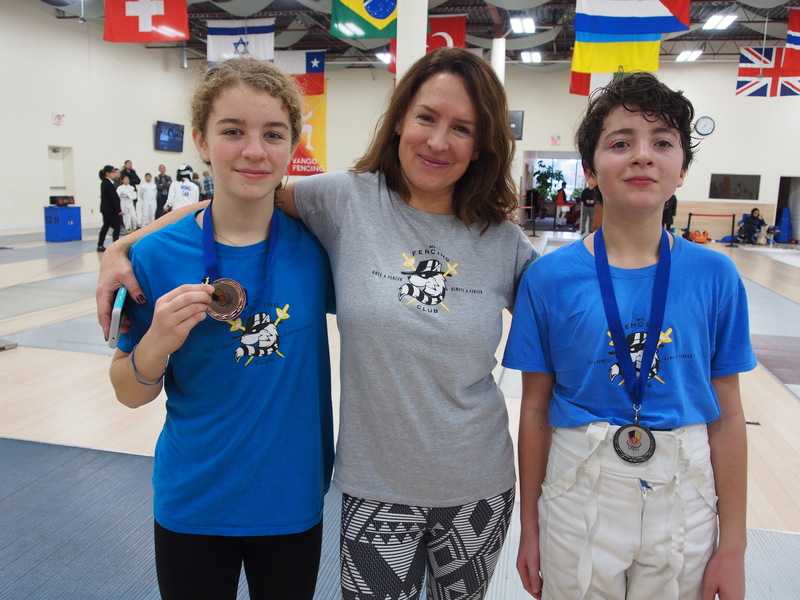 The club focuses on youth development, with the goal of training high performance athletes and elevating the profile of fencing within Toronto communities. The majority of MYF students are 10-14 years old and train at beginner/recreational, intermediate and competitive levels. Our competitive level students are currently ranked #4 and #5 in the Canadian national rankings, with a total of 13 medals at the Canada Cup and National Championships. The continuing growth that happens within the club allows us to develop culture, leave heritage and build reputation. Want to learn the basics of all 3 weapons? 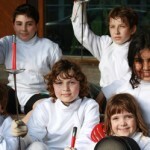 Come join us for a 2h workshop where you can try all fencing weapons! Get a taste of fencing by booking a private intro lesson for youth and adults at multiple locations! The club was featured in a TV show “We are savvy”, video is coming soon! Audrey Green appeared on the CityNews as the Athlete of the Week! We helped filming “Fencing Basics” app – check it out! 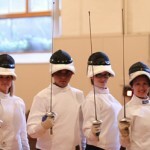 © Copyright 2012 MyFencing Club - All Rights Reserved.